Teaching and caring for children is what makes Jo March happy, but boys will be boys, which means dealing with chaos and a number of humorous exploits. This heartfelt story has enchanted readers since it was first published in 1871. 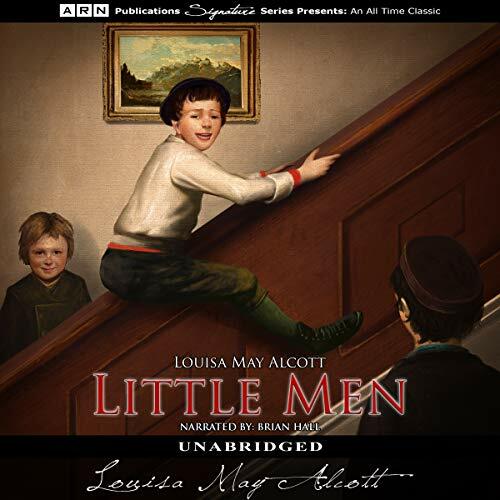 Little Men is the second book in the Little Women Trilogy and is arguably one of Louisa May Alcott’s best works. It was rumored that Alcott’s brother-in-law was her inspiration for Little Men, and the tragically beautiful ending of this story supports this theory. Those who liked Little Women will love the second installment in this trilogy.